VANCOUVER, BC - UBC's Chan Centre was absolutely packed last night with over 1,300 people - and there were 1,000 more on the waiting list - to hear one of the most popular architects of the 21st century, Bjarke Ingles. The 37 year old Danish architect employs 130 people in offices located in Copenhagen and New York. 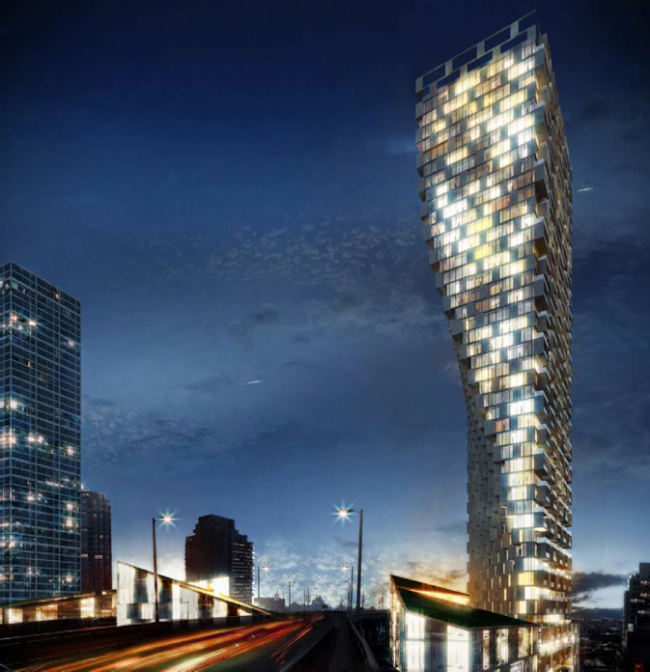 Vancouver's Westbank Development Corporation, headed by visionary Ian Gillespie, hosted the meeting to discuss sustainability and the future of Vancouver's skyline. Bjarke Ingels talked about Westbank's new project in Vancouver at 1400 Howe Street, and some of his previous architectural contributions around the world.